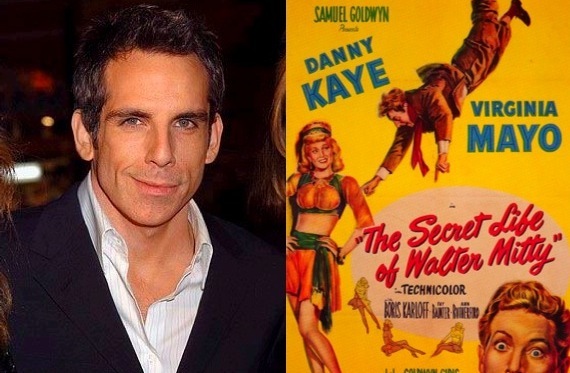 The first official trailer for The Secret Life of Walter Mitty was just released. 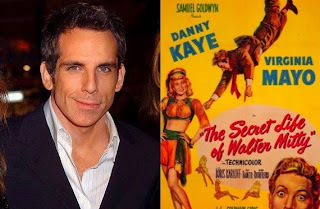 That's the one where Ben Stiller takes on James Thurber's classic dreamer immortalized by Danny Kaye in the film version. I've got to say, Stiller looks like he's made a beautifully evocative film for all of us with stars in our eyes, but whose lives are maybe a tad more grounded. Watch! If the trailer isn't playing, go here to view. 20th Century Fox put it up on YouTube and then pulled it but you can still see it on Apple. Everyone is buzzing about how brilliant it is and how ambitious Stiller is. 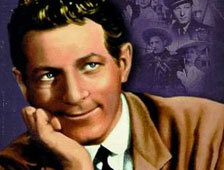 Read my first Secret Life of Walter Mitty post.